Brown spicy Italian sausage for 3-4 minutes, in a large, oven-safe skillet or Dutch oven, over medium-high heat. Add diced Canadian bacon, and pepperoni. Brown for 1-2 minutes over medium heat. Add a jar of marinara sauce, water, oregano, and garlic salt and stir. Mix in eight ounces of rotini pasta. Cover the pan and bring it to a boil. 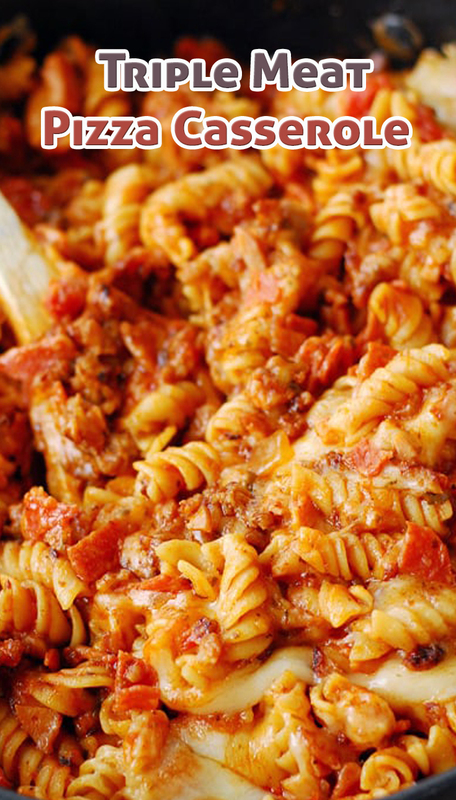 Reduce the heat to medium-low and simmer for about 12 minutes until pasta is tender, stirring occasionally. Brown the cheese under the broiler for a couple of minutes.